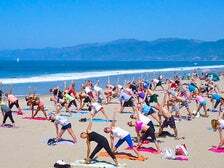 For those searching for a truly unique experience, read on for our guide to alterna-yoga in Los Angeles. 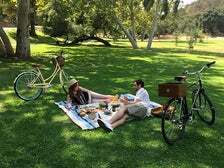 But it is on a bicycle that the entire park really opens up for exploration. 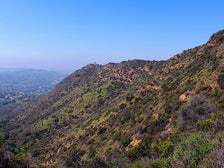 By bike you can see and do more in Griffith Park than by car or foot. Most of the routes described are on roads with bike lanes or are closed to traffic, but there are many other roads that could potentially be explored. 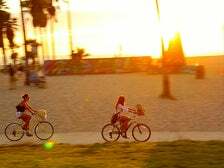 In my opinion, this makes the park one of the best places to cycle in Los Angeles. 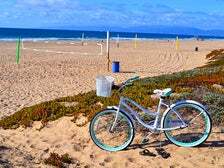 Part Two of our guide to biking the Strand begins at Playa del Rey, travels through the Beach Cities of the South Bay (Manhattan, Hermosa, Redondo) and ends at Torrance Beach. 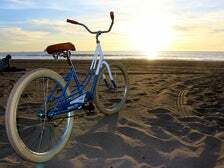 This two-part guide follows the route of the Marvin Braude Bike Trail from its northern end at Will Rogers State Beach near Pacific Palisades and travels south to Torrance Beach. 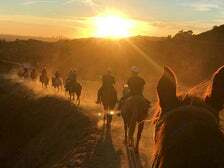 Italian fashion blogger and model, Mariano Di Vaio, shared his L.A. story during a recent trip to the City of Angels. Accompanied by L.A.-based photographer, Kyle Huber, Mariano visited some of the city’s top attractions and sites. Most people associate stairs with function. 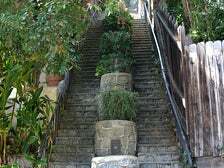 For example, many staircases in Echo Park were built to assist Angelenos from Red Car stops to uphill homes. Now staircases bring people to city views and give people a no-cost exercise alternative to gyms and fitness studios. Read on and learn about 14 great staircases across L.A. County.